The participants of this market, first of all, are large commercial banks through which the basic operations under the instruction of exporters and importers, investment institutes are carried out, insurance and pension funds, hedgers and private investors. These banks also carry out the operations in the interests due to own funds, thus volumes of daily operations in the large banks reach billions of dollars, and the basic part of the profit is formed only due to speculative operations with currency at some banks. Except for banks, the broker houses carrying out a role of the intermediary between a plenty of banks, funds, commission houses, the dealing centers, etc. Commercial banks and broker houses not only make operations on sale and purchase of currency at the prices which are exposed by the other active participants, but also offer own prices. Thus, they actively influence the process of pricing and a life of all market, therefore they are called (market makers). As against the active participants, the passive participants of the market cannot expose own quotations and make currency purchase-sale under the prices offered by active participants of the market. Passive participants of the market usually pursue following purposes: payment of export-import contracts, foreign industrial investments, opening of branches abroad or creation of joint ventures, tourism, gamble on a difference of rates, hedging of currency risks, etc. The Central banks of the different countries come on FOREX, not only with the purpose of extraction of the profit, as a rule. They usually do it with the purpose of stability check up, or correction of an existing rate of the national currency. The correction of an existing rate of national currency influences on the national economy condition. The central banks also come out on the currency market through the commercial banks. Profit extraction is not the basic purpose of these banks, but unprofitable operations do not involve them as well. The central banks of different countries can carry out also the joint coordinated interventions. If the active participants make the operations with the big sums of a few million dollars, the passive participants can use margin trade. They have an opportunity to temporarily operate the capital, in one hundred times exceeding their deposit. Such way of trade allows to take a part in work of the currency market to fine investors with small capital and thus to receive significant profit. The structure of the basic participants of the market testifies that this market is actively used by "the serious business ", for the serious purposes. That means not all the market participants use FOREX in speculative purposes. Guaranteed To Transform You Into A Professional Trader. This Book Is One Of The Most Valuable Resources In The World When It Comes To Create Fortunes Guide. 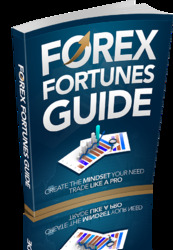 The Mindset Behind The Most Successful Forex Traders In The World. The Costs of NOT Getting All The Info You Need Are Just Too High.